Digital marketing is the present and the future of marketing in the upcoming era. Today, almost all major firms and startups have understood the benefits and potential of including digital marketing in their promotional plan. The best part about digital marketing is, its ability to be analyzed instantly. For example, if you have posted a new blog on your site or on social media, you can get to know the behavioral patterns and preferences of your target audiences. 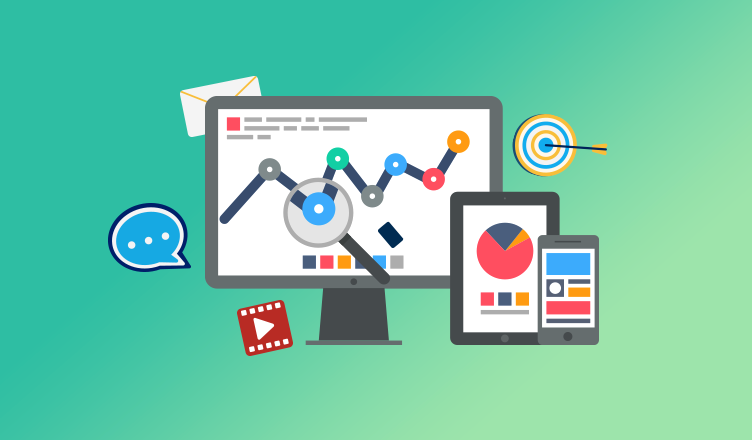 However, accurate and timely analytics of digital marketing activities is important for increasing the overall effect of your digital marketing. In this blog, we will discuss and put forth the various factors present in your content that needs to be analyzed accurately and regularly. Blogs play an extremely important role in inbound marketing activities. So, when it comes to blogs, what are the basics you should actually look out for? ‘Traffic’ here denotes the number of people who got on to your website via different channels, which is ‘source’. Seeping deeper into blog analytics, we would recommend that you opt for an advanced analytic dashboard such as Google Analytics. The reason being that it provides a wide range of analytical angles. Traffic source is basically from where exactly are your viewers/readers landing on your page. You can also customize your search on the basis of topic and time period. You can create individual blog analysis. Depending on the source that helped you increase your readership or page visits, you can make use of that source. You wrote a blog, your SEO is on track, you are ranking well on search engines, you have received high views and comments on your blog as well. Great! Now what? Here, the number of clicks simply refers to click to action (CTA) buttons such as: Sign up or Subscribe now inserted in blogs in order to track conversion rate. You track your conversions by making use of trackable links. Google analytics facilitates building such trackage links. In the end, its all about the money. So, how much did you make? The best part of Google Analytics is, it’s all ready! You don’t have to keep a calculator and sheet a loaded with formulas by your side to calculate bounce rate. In digital marketing, bounce rate stands for the number of visitors who landed on your page and left without any action on the page. For eg: If you came across a blog while surfing, the title and description seemed relevant to you. But once when you opened it you didn’t like the content so without performing any other activity and within seconds you close that particular window. This activity which you performed contributes to bounce rate. If your bounce rate is high then you really have to get your content, relevance, and SEO in place. The lesser the bounce rate the better it is for your blog or website. The bounce rate of an average website is 40.5%. It depends on your category and content. One single web session is the amount of time spent on your blog or page by a particular visitor. Web sessions may expire if no activity has been conducted over 1 minute by a visitor. Hence, the message ‘your session has expired, please refresh your page to continue’ flashes on your screen often. 190.4 seconds is an average time spent on a particular site. Again, like bounce rate, there are no perfectly measured time durations for such metrics. If put simply, Search Engine Ranking Points (SERP) is an important element in digital marketing. It indicates the rank of your blog or content on a search engine. You need to constantly track your rank on the basis of your keywords. For eg: If you have written a blog on “How to Start Successful Online Business” and ‘online business’ is your keyword, you need to keep a tab using your keyword as to on which page your blog results. The numbers clearly indicate that the higher the page number the lower is the traffic. Evolution is a continuous process, just like change is constant. Take a look at how your blog has evolved so far in terms of – topics, tags, language, look and feel, depth of the content and so on. Once you competitively analyze your own blog, on the lines of before and after, you will get a clear picture of your own capabilities and where you actually need to reach. If you don’t wish to use platforms such as Google Analytics, you can simply analyze the basic data of your blog in your blog dashboard itself (you need to check out plugins for the same on WordPress). Here you will get a macro analysis of what is your reader activity like. Understand the time spent, count the new users coming onboard, which post performed best over a period of time (timeframe is customizable), how many people have subscribed to your blog for regular updates, etc. Keywords play an important role in ranking your post or content high in the search engines. Many times, it’s a possibility that you have exactly followed the SEO guidelines, but still, there are some posts which perform beyond expectations and some otherwise. The reason may not necessarily be the keywords, but it could also be the topic relevance and relativity. What if your audience is searching for footwear and not clothes under the ‘fashion’ category? Listen to what is being searched carefully. What we assume as marketers needn’t be the search terms of the audiences. High performing v/s low performing published posts analysis can be really interesting and comes with a humongous opportunity for improvement. Did the result match your expectations? If not, then what went wrong and if yes, then what more value can be added? Here, along with your dashboard analytics, you can also make use of HootSuite. It is a very popular and reliable tool to measure and analyze social media channels. Check out your individual blog performance across all platforms of publishing and promotion. This the is the easiest step, if you think you falter in any of the above 9 steps, then its time to correct them and get back on track. MozBar: This helps to check on page SEO along with page authority and domain authority. It is a free extension available for both – Chrome and Firefox. SEO Book: You can check your content here for authentication, density, keyword volume and so on. Acquisition – where will I find relevant people? Which channels will give the maximum ROI? Retention – What retentions should I incorporate regularly? 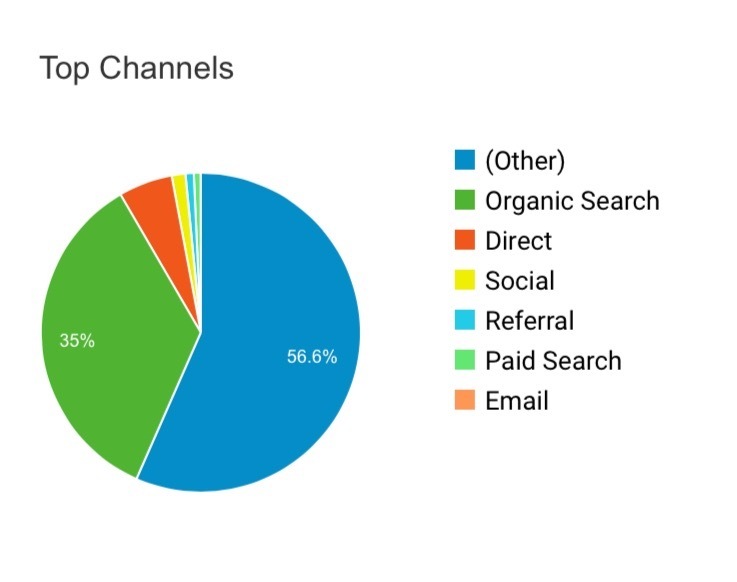 Engagement – When is the best time to publish my content on the chosen active digital channels? Monetization – Who are the most vulnerable audiences to make the purchases/view/read? Referral – What website elements contribute to organic sharing on social media and other platforms? Revenue – How does the current content influence our revenue system? Activation – What do your customers who read/view have in common? You can strategize your own digital marketing plan efficiently now. Also, you can get fruitful insights into planning effective content marketing strategy for your business.